Over the past decade, Southeast Asia has transformed from the off-the-beaten-track gateway for adventure travelers to a tourism hotspot. While destinations like Angkor Wat and Ha Long Bay might attract millions of travelers every year, Southeast Asia still remains home to some of the most underrated and unique spots in the world. From the mythical mountains of Ha Giang in Vietnam to the tropical archipelago of Raja Ampat in Indonesia, here are seven insanely beautiful destinations in Southeast Asia tourists haven’t found out about yet. A world apart from the crowded streets of Hanoi, the northernmost province of Vietnam, Ha Giang, is commonly referred to as “the last frontier for adventurous travelers in Vietnam.” Unlike most of Southeast Asia, Ha Giang has yet to experience the wrath of mass tourism, but it is slowly beginning to gain popularity among travelers. Ha Giang shares a border with China and is famous for its conical peaks, extreme cliffs, and valleys that are often shrouded in cloud. 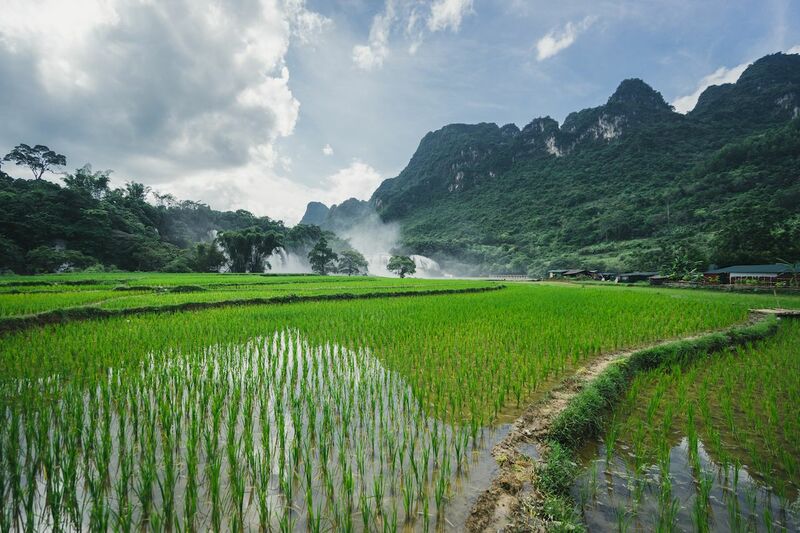 The province is also home to many ethnic minority groups, providing travelers with plenty of opportunities to witness Vietnam’s cultural diversity. Arguably the most impressive scenery in the region is the Ma Pi Leng Pass, which sits at an elevation of 1,500 meters. Another great way to explore Ha Giang is to cover the 320-kilometer-long Ha Giang Loop by motorbike. The tour takes two to four days, and — take note — the roads are narrow and dangerously close to the cliff edges. It is recommended to opt for a bike tour from one of the local companies. You can rent a bike from Mr. Bay Motorbike Rental, Rent a Bike, or Ha Giang Motorbike. Where to stay: You can start your journey in one of the local hostels, such as Anh Anh Motel or Kiki’s hostel, or you can opt for hotels like the Royal Hotel Ha Giang. Depending on whether or not you book a tour, you may also have the chance to stay in various homestays along the way. How to get there: There are several direct buses from Hanoi to Ha Giang. The buses leave from the Mi Dinh bus station in Hanoi and take about seven to eight hours, including breaks. When to go: From early October to late April is the dry season in Ha Giang, which is considered the best time to visit. 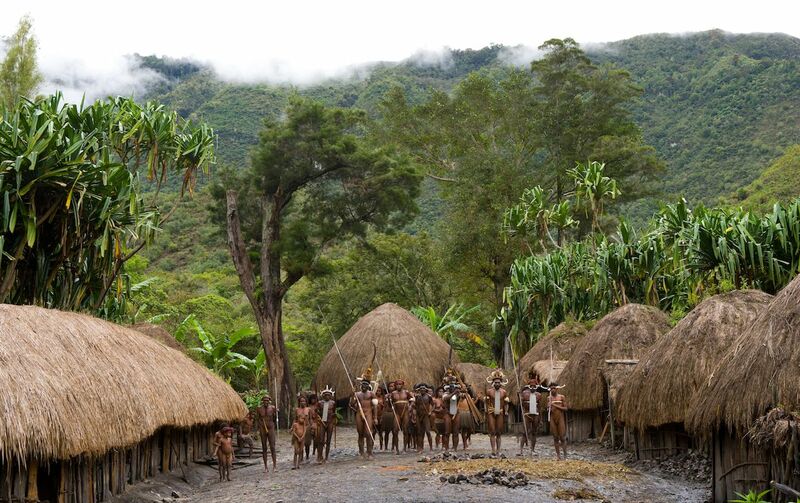 Baliem Valley is located in West Papua, Indonesia, and home to the Dani tribes. Unlike a lot of Indonesia, the region has remained somewhat isolated from modernity, and hiking to the remote villages provides visitors unique opportunities to witness the lifestyles of the local tribes, not to mention the stunning scenery of Baliem Valley. Today, there are several tour agencies that offer three- to six-day treks, with food and accommodation around Southern Baliem Valley. But if you don’t want to go deep into the mountains, you can base yourself in the town of Wamena and opt for day trips to close by villages like the Jwinka village. Where to stay: Finding accommodation here is a challenge unless you opt for a group tour from a travel agency. The best accommodation is the Baliem Valley Resort, which is often booked months in advance, especially during the Baliem Valley Festival in August. The majority of the hotels in the area do not have an online presence, so you may need to contact a local English-speaking guide and request help in booking your accommodation before your arrival. How to get there: Find flights from Jakarta/Bali — Jayapura — Wamena. When to go: If you want to witness the Baliem Valley Festival, visit in August and look up the dates beforehand. If you simply want to trek Baliem Valley, anytime between March and September is considered a good time. Hidden off the east coast of Malaysia, the island of Pulau Besar represents what many people would describe as a true paradise — think the Maldives minus the heavy price tag. If you are looking for a secluded beach getaway to recharge, Pulau Besar is the perfect option in Southeast Asia. One of the best things about the island is that it has only about three to four accommodation options, and they sit right on the beach. Pulau Besar also offers a great range of outdoor sports, such as kayaking, snorkeling, and hiking. There are daily snorkeling tours that cost around $22 and take you to three nearby islands. Restaurants have a backdrop of the ocean, and if you are lucky, you can catch a live music show at Aseania Beach Resort. Where to stay: The three main resorts are the Aseania Beach Resort, D’coconut Resort, and Mirage Island Resort. How to get there: To reach Pulau Besar, you have to first get to the Mersing jetty. From Singapore, Kuala Lumpur, and many other cities, there are direct buses to the jetty. 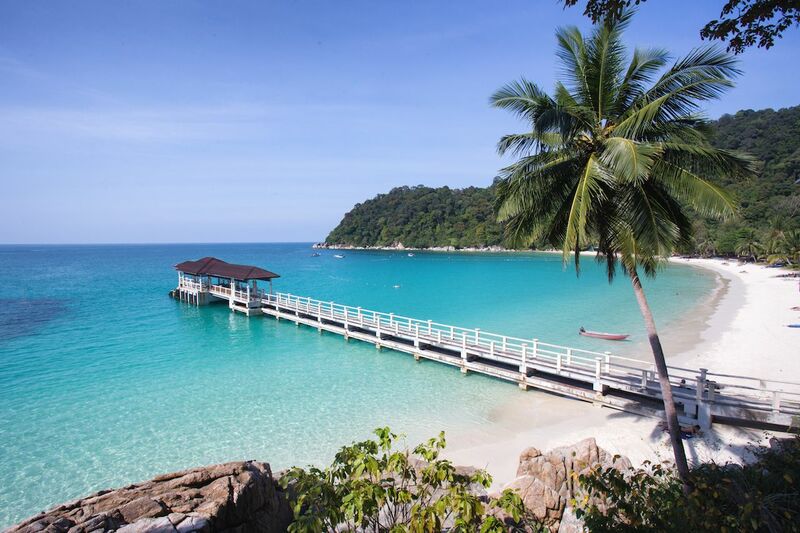 A 30-minute boat ride from the Mersing jetty will get you to the island. There are no regular public boats, and you should discuss with your hotel beforehand to arrange a two-way boat service to the island. When to go: Anytime except monsoon season is pleasant. The best time is between March and September, and perhaps early October. 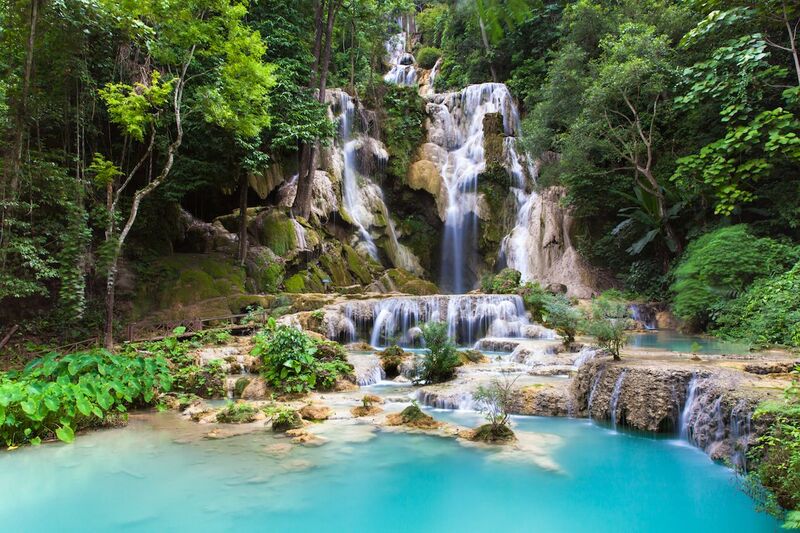 Set deep in the jungle of Laos, the Kuang Si Falls is a three-tiered waterfall located south of Luang Prabang. It consists of a large cascade of turquoise pools, each one overflowing into the one below it. There are two main spots at Kuang Si, the secret pool, and the main waterfall. The main waterfall is often referred to as the most beautiful fall of Kuang Si, and it’s hard to miss. To reach the secret pool, you have to hike uphill on slippery terrain and over shaky bridges. But the journey is worth it as you have an elevated view of the falls from there, and you can enjoy a relaxing swim in the pool without the crowd. Where to stay: If you want to stay near the waterfall, you can check out the guesthouse called Vanvisa at the Fall. Otherwise, you can stay in Luang Prabang, which offers plenty of accommodation options and easy day trips to Kuang Si. How to get there: Kuang Si is around 23 kilometers outside of Luang Prabang. There are plenty of ways to get here: a shared tuk-tuk ($6 per person), private tuk-tuk ($22-25), public minivan ($7 with a fixed schedule), private minivan ($30), motorbike/scooter ($20 per day), and slow boat down the Mekong. There are currently two main operators that run this option, the Banana Boat Temples, Bears, and Waterfalls day trip and Tiger Trail’s Bike, Swim, and Longtail Boat ride tour. When to go: The best time to visit Kuang Si falls is from December to April/May when the monsoon season has finished, and the cascading pools have settled again. Ha Long Bay, Vietnam’s famous UNESCO World Heritage site, attracts millions of travelers every year, and as a result, it suffers from mass tourism and the problems that come along with it. So if you want to witness the gigantic limestone karsts blasting out of the perfectly calm emerald ocean but avoid the crowds, then Bai Tu Long Bay should be on your list. Experiencing the bay at sunset is advised. But if you’d like to do a day trip, you can rent kayaks, explore the local floating village, and climb Titop island for a 360-degree view of the three bays. 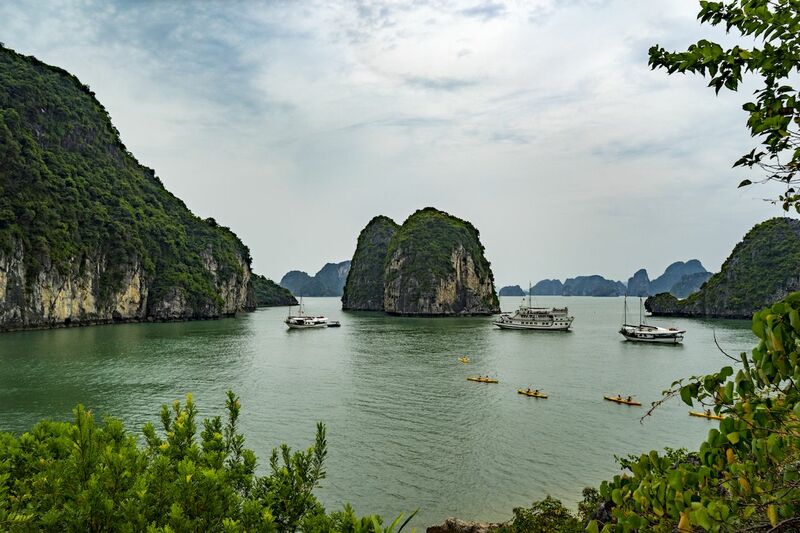 You can also opt for a tour that starts from Ha Long city and combines Ha Long Bay and Bai Tu Long Bay, or you can base yourself out of Cat Ba and opt for tours that cover Ha Long Bay, Bai Tu Long Bay, and Lan Ha Bay, depending on the duration of your trip. Where to stay: You can choose to stay in Hanoi’s old quarter or Cat Ba and explore Bai Tu Long Bay from either of the areas. How to get there: Usually, the tour you book for Bai Tu Long Bay will cover pick up from well-known locations in Hanoi. When to go: The periods from September to November and March to May are ideal for a trip to Bai Tu Long Bay. December and January are acceptable, too. 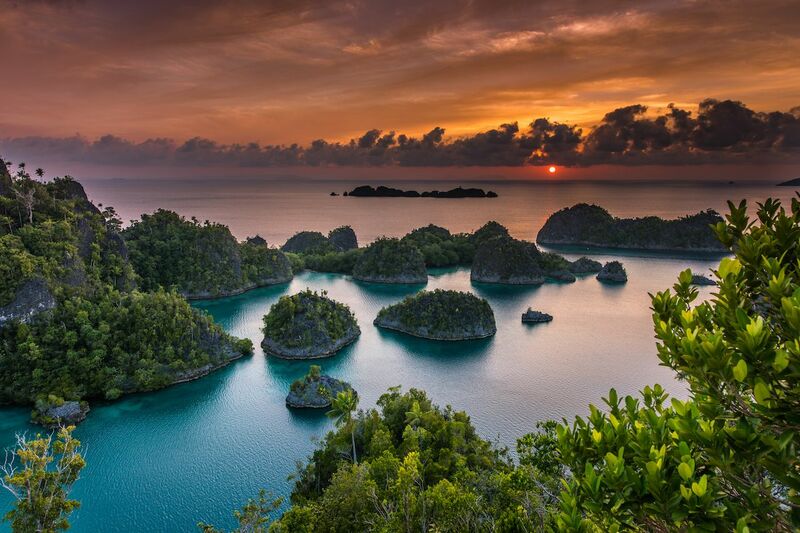 Raja Ampat is a collection of around 1,500 islands and islets located in the Indonesian part of Papua. With its jungle terrain, untouched coral reefs, and white-sand beaches, Raja Ampat is often referred to as the most beautiful tropical archipelagos in Southeast Asia. Raja Ampat is ideal for travelers who are looking for a low-key island experience. There are no sun loungers and no fancy cocktail bars by the beach. The idyllic landscape here is raw and untouched, but the real magic lies beneath the turquoise water — Raja Ampat is known as one of the best diving locations in the world. About 75 percent of the world’s coral species are found here. From the pygmy seahorse to barracudas, the Raja Ampat islands offer a real treat for divers and snorkelers. Where to stay: For serious divers, some of the top dive resorts are Kri Eco Resort, Raja Ampat Biodiversity Eco Resort, Papua Explorers Resort, and Misool Eco Resort. You can also opt for a liveaboard, which will allow you to dive in more than 200 dive sites in the region. How to get there: Sorong is the gateway to the Raja Ampat islands. You can fly to Sorong from Jakarta, Pulau Ambon, Jayapura, Manado, and Makassar. From Sorong, it’s a boat ride to islands. Most top-end dive resorts and liveaboards will pick you up from Sorong. When to go: For calm waters and good visibility, aim for a visit between November and March. The region receives the heaviest rain from May to October. Shamelessly overlooked by travelers to Myanmar, Mount Kyaiktiyo (Kyite Htee Yoe) is famous for its gold granite boulder, which is perched at its summit. Located a few hours east of Yangon, Mt. Kyaiktiyo is one of the three most sacred religious sites in Myanmar. Legend has it that the gold rock is supported by a hair from Buddha, which prevents it from plummeting 1100 meters to the ground. The summit also offers panoramic views of the surrounding Mon State mountains. Go at sunset to view the rock shining in the pink light, and if you want to take part in the full religious experience when you get to the summit, you can pay a small fee and place some gold leaf on the rock. 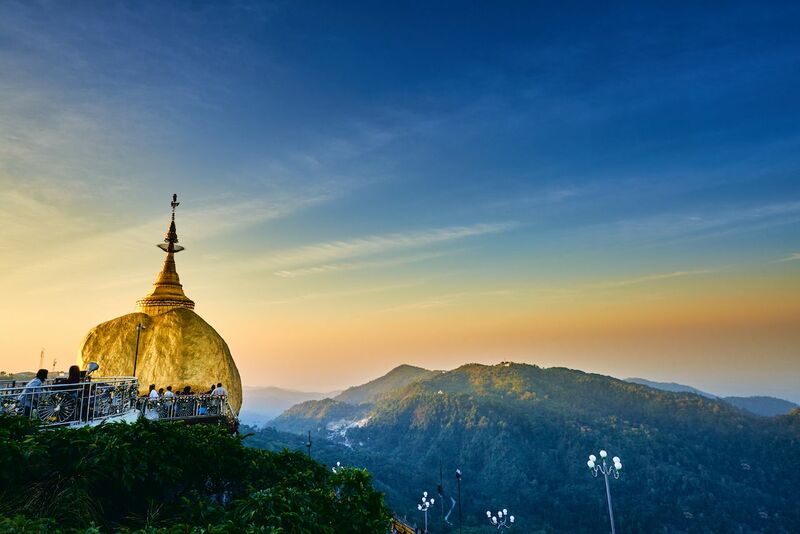 Every year, Myanmar celebrates The Kyaiktiyo Pagoda Festival, also known as the Nine Thousand Lights Festival, which features food offerings at dawn and candle lighting after dark, illuminating the mountaintop. Coinciding your trip with this festival may take some planning, but it is well worth the experience. Where to stay: There are a few hotels in nearby Kinpun, such as the Bawga Theiddhi Hotel and Golden Rock Hotel. Alternatively, you can also stay in Yangon and take a day trip here. How to get there: The adventurous way to get there is by pickup truck from Kinpun. The truck is crowded, and the rollercoaster journey through the mountain roads will definitely fulfill any need for an adrenaline rush. Alternatively, you can also opt for private transport. Vehicles stop at a certain point, and from there, it’s a short hike to the summit. When to go: The best time to travel to Myanmar is between November and February when the climate is mild, and there is less rainfall. However, this is the peak season, and hotels can get full months in advance. Visiting during the Kyaiktiyo Pagoda Festival is a special experience — for exact dates and full Myanmar festival listings, go to the festival calendar.